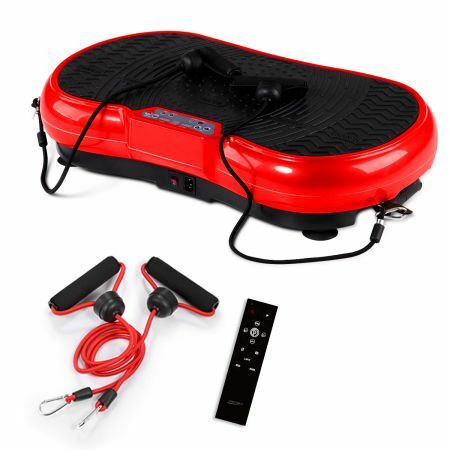 If you're looking for a great way to get your body in shape with little effort in the comfort of your own home, then this vibrating workout platform is perfect for you. Coming in at a low price, this portable vibration plate machine burns fat and tones and tightens skin by increasing metabolism without needing to go to the gym every day! The vibrations reshape the body in the hips, waist and abdomen. You can increase muscle tone, strength, circulation and flexibility with just 10 minutes a day, 3 times a week. Kick your workout into high gear and order your vibrating exercise machine today! I use this for my clients as a personal trainer. Great machine, effective and fun. I will recommend to others to buy from Genkifitness to get fit. I just got it and I love it already... my adult kids are eager to try it too. Very excited to get in better shape. Recommend to buy at Genkifitness. This is a great product! I have just used it a couple of times, but already I begin to feel more confident in my balance. Some health issues compromised my balance, but this seems to be letting me reacquire that function. Great product, being using it for a week and its working ...even my 80-year-old dad using it. Thanks a lot. The intensity of the machine even at the lower levels was a surprise. I will probably begin with a chair, but look forward to adding this to my exercise program.